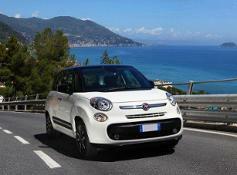 Are you searching for Fiat Cars in your region? If you are currently looking for a new or used Fiat near your region then Motorparks Fiat dealers should be at the top of your list. At Motorparks Fiat we have built an enviable reputation for providing our customers with the best possible prices on their new or used Fiat cars and the best possible customer service. 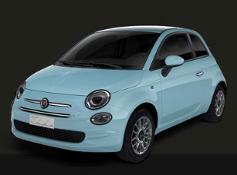 As a result we are a very desirable prospect for those looking for a new or used Fiat near your region. Fiat have a history of re-writing the rulebook in terms of car design and the current crop of new Fiat cars are testament to this, pushing the styling envelope and the popularity of the brand into the stratosphere. The advent of the new Fiat 500 kicked off a new love affair with all things retro, recalling the heady days of the original Fiat 500 in the 1950s. The rest of the range is hard to ignore too, with the Punto, Panda, Bravo, Qubo and Doblo all offering something different in their respective niches. With such an impressive range of new Fiat cars available for delivery to your region you should seriously consider visiting Motorparks Fiat dealers for your next new car purchase. Motorparks also currently stock an impressive array of Used Fiat cars, all of which have been thoroughly inspected and checked to ensure that they meet our exceedingly high standards. We do this to ensure that you can drive away with the peace of mind that you have bought the right Fiat car from the right Fiat dealers. 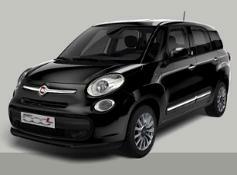 If you are looking for a Used Fiat for delivery to your region then consider Motorparks your dealer of choice. We invite you to browse our range of new and used Fiat stock, but if for some reason you are unable to find the right Fiat car near your region for you and your needs, please feel free to contact your nearest Motorparks Fiat dealer and a member of our helpful team will be more than happy to help you find the right car.